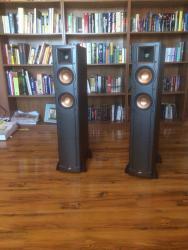 One owner, excellent condition RF52's, with the original shipping boxes! 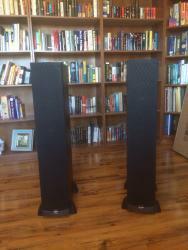 I cannot find any marks or blemishes on any of the surfaces of these speakers, they are in outstanding condition. 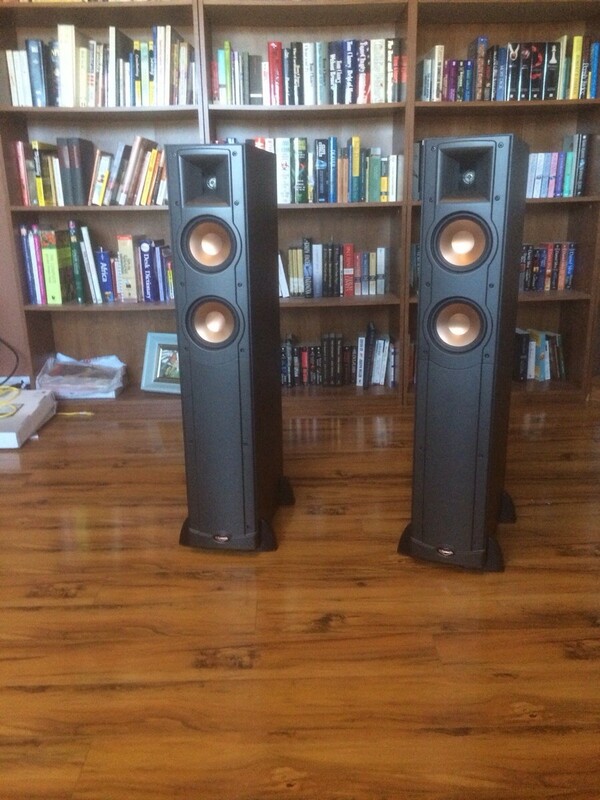 These are not RF52II's. These are the original, older and slightly more affordable RF's. I used these as surrounds and ended up with RF52's as mains, they are nearly identical, I can tell no sonic differences, and aesthetics are incredibly minor. 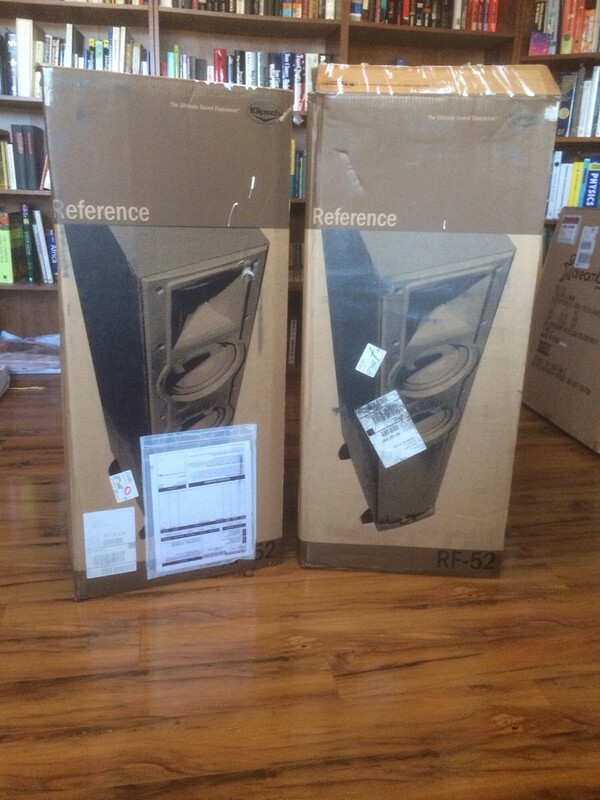 I bought the speakers as I had the money and they upgraded the line before I had completed the system! I have the original boxes and packaging materials so they will be safe to ship - buyer pays shipping. I am currently in Winston-Salem, NC, however I will be moving in a few months to Lexington, KY and making some what regular trips up there - if that influences any one's purchasing decisions. These were originally $329 Each - a total of $658 Retail. Buy the pair for $300! 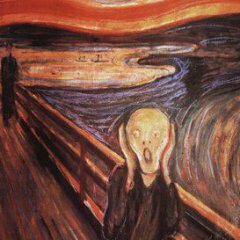 Asking price would likely help your sale. Sorry, I just updated it!! Perfect. Best wishes with your sale. Thanks - you are the man! Are the speakers still for sale or it's already too late? I still have them for Sale, let me know if you're interested - Thanks! These are a great stocking stuffer! Haha, that's awesome! Home Theater in a sock. Awesome!!! 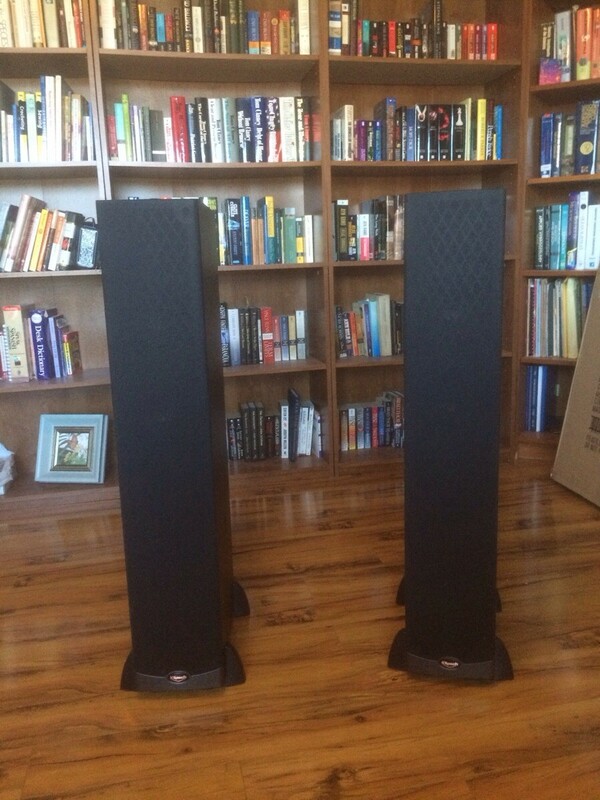 Good price for some good speakers. Had these in my bedroom for a while. Where approximatly are you located? Yes these are still available, I'm located in Winston-Salem, NC 27101, and I will ship at your expense, I have the original boxes and packing materials so I'm confident shipping will be safe. They are in transit to KY as we speak, they'll be available, from Lexington, KY next week - let me know if you're interested. Thanks! Thanks! Australian Cypress, I have it in two rooms in this house, I'm going to miss it. New place is a little "oaky".